Europe is experiencing an unprecedented humanitarian crisis as a result of the refugees that are fleeing war and violence in our region. 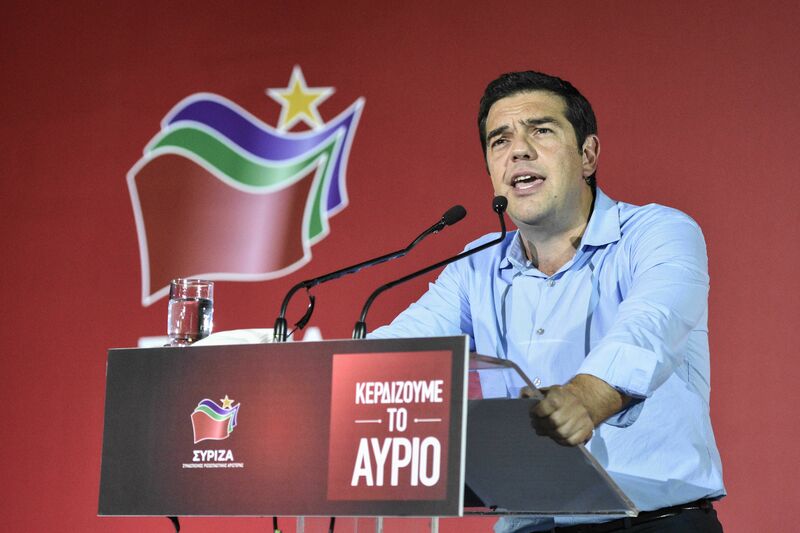 Greece is at the forefront of this crisis. Yesterday's picture of three-year old Ailan, dead in the Aegean Sea, on the coast of Bodrum, was a powerful punch in the gut for all of us. A Europe that has responded with initial indifference, nonsensical repression and now awkwardness in the face of a global drama caused by erratic foreign policy and the West’s military interventions. Yesterday's horrific picture that shocked the world unfortunately demonstrates the tremendous irresponsibility and great shame of the political forces and especially of New Democracy, which from the outset sought to exploit the problem for petty gains; stoking the most extreme populist instincts, the very ones Golden Dawn is manipulating as well to gain more votes. For now, I will ignore New Democracy’s inability to manage this—even rudimentarily--as a government, and will concentrate on its criticism of open borders. What exactly were they demanding from the Greek government? To use Greek coast guard ships to sink the inflatable boats carrying refugees? And to turn the Aegean into a watery grave for thousands of children like Ailan? Even populism and trying to win votes must have some limits. On January 25th, New Democracy provided us with absolutely no policy or planning to address the refugee issue, despite it being perfectly obvious that waves of the refugees would be arriving. New Democracy is responsible and should not make accusations. They handed over the most inadequate reception and hospitality facilities that wouldn’t suffice under normal conditions, add to this--zero absorption of the then available EU funds for the creation of reception centers. I would like to make clear that the human beings who are gathering and dying at our borders are not migrants but refugees. This means that Greece has the international and European obligation to ensure humane reception and living conditions. We established the Ministry of Migration Policy, having the foresight that it would prove to be a necessary management tool in the wake of refugee flows. We raised the issue with the European leadership. We asked for, and succeeded in securing an extraordinary Summit on immigration that approved-for the first time-the relocation of 16,000 refugees from our country to other EU countries. The relocation of 8,000 additional refugees is also being planned. We restored legality to the administrative detention process. The maximum time of administrative detention of foreigners does not exceed six months, as set forth by law. In record time, we organized the first guest facilities for refugees in Eleonas—a feat in and of itself given we received no policy or planning from our predecessors, the existence of a financing gap, and refugee flows quadrupled in 2015! The request for staffing relevant services under the financing framework 2014-2020 remained pending until October 2014, since the previous government did not address the issue. The final requests were submitted by our government and were approved by the European Commission, totaling 470 million euro in financing. Furthermore, three requests have been submitted and approved by the European Commission for emergency funds of approximately 4.6 million euro. They will be used for Asylum Services, First Contact Services and the acute needs in the islands, as well as in Athens. We also expect our request for reinforcing the Coast Guard to be approved (2.8 million euro). Similar emergency funding requests will follow according to the flows and needs that arise. Finally, we increased the number of places for unaccompanied minors in hospitality facilities, and we ensured that all minors be placed in hospitality facilities. We added personnel to the Asylum Services and First Contact Services, and we established additional working groups on the islands. The refugee problem is the most important issue threatening Europe today. It is not a Greek problem, it is a European and global problem. Our humanity is being tested, our effectiveness is being tested, and Europe's ability to share the burden and act as a true Union is also being tested. The time has come for courageous decisions, not only from Europe, but also from the international community, which has been casually ignoring the wars and violence in our region. It is not enough to be moved by the harrowing images of dead children. It is not enough to feel compassion - we must act together and in solidarity. Europe’s humanitarian values and traditions are being put to the test by the lives of these people; meanwhile some in our country persist with demagoguery. Our humanity and civilization are being judged.